NSU Pi Kapps inducted into national honor society for first-year students. Jacob Norris on the left and Cade Mitchell on the right. 233 NSU students were inducted into the society on Sunday. The mission of Alpha Lambda Delta is to encourage superior academic achievement among students in their first year in institutions of higher education, to promote intelligent living and a continued high standard of learning, and to assist students in recognizing and developing meaningful goals for their roles in society. 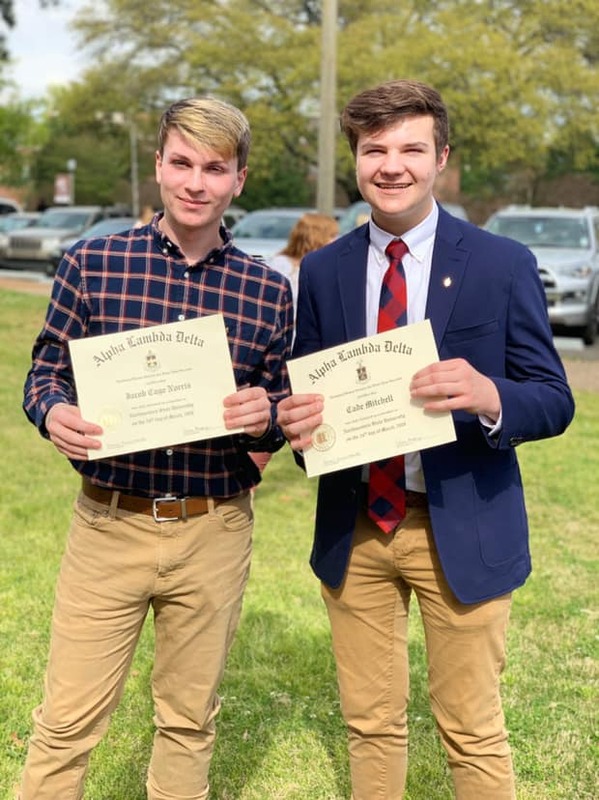 Students in Alpha Lambda Delta must have a grade point average of at least 3.5 after their first semester of full-time enrollment at Northwestern State. Alpha Lambda Delta has more than 270 chapters and more than 850,000 lifetime members. The organization offers more than $180,000 in scholarships and fellowships annually including more than $80,000 awarded to undergraduate students.